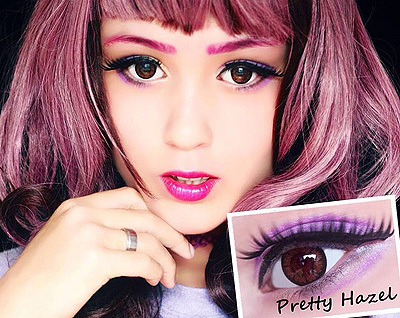 ColourVue Big Eyes Pretty Hazel contact lenses feature a pretty hazelnut color that looks very natural in the eye, no matter what your own eye color is. Moreover they are equipped with a very distinct outer edge that makes your eyes bigger and sexier. All these feature make them perfect cosmetic accessory that can be used on a daily basis but also as a part of a costume or special outfit.